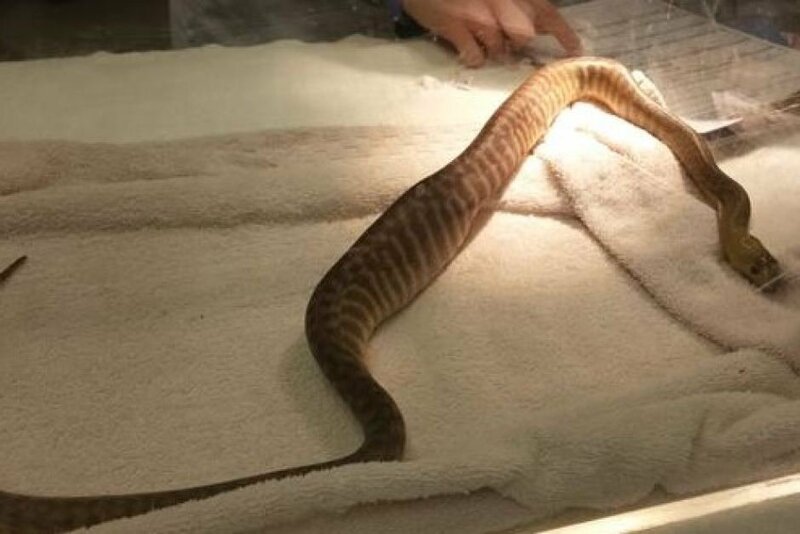 A python, named Winston, is now recovering from surgery after undergoing a procedure to remove a pair of BBQ tongs that he had swallowed. Winston’s owner, Aaron Rouse, explains that he was feeding a rat to the snake using the tongs when he latched on to it and refused to let go. After unsuccessful attempts to pry the kitchen utensil away, he decided to leave the python with the tongs. However, when Aaron returned, he realized that Winston had completely swallowed the item. According to ABC News Rouse contacted a veterinary expert from Adelaide University, Dr Oliver Funnell, who weighed Winston’s options. 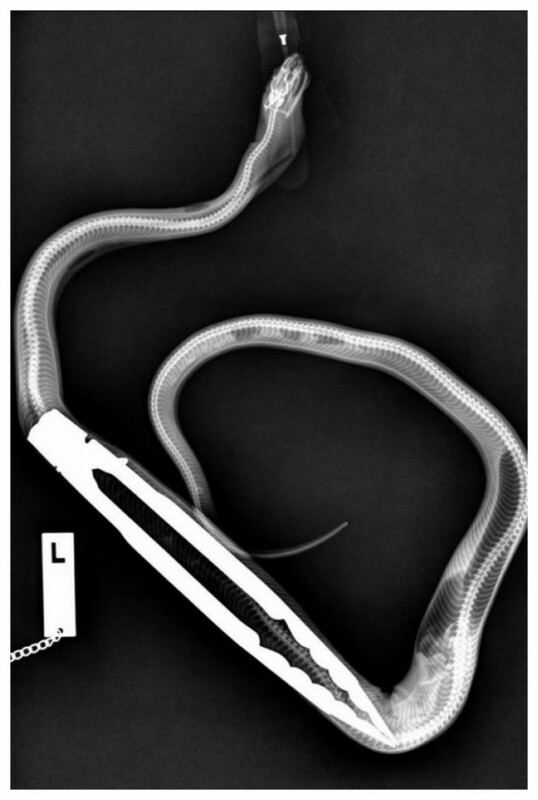 The Dr noted that, “Snakes do have an ability to regurgitate food if they change their mind, but I was not sure if Winston was going to be able to regurgitate these [tongs] even if he tried… These [tongs] are made out of a pressed metal, the edges are relatively sharp. [I decided] endoscopy was probably not a way to go because dragging the tongs out could have caused [internal] damage. The only sensible option was to do surgery.” The surgery was successful and Winston is now back home recovering.